This adjustable back support provides extra comfort and helps relieve stress. 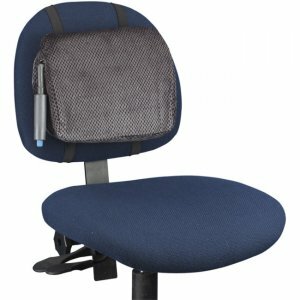 Support deflates and inflates at the touch of a button and features a three-way hook-and-loop that attaches to any chair where the backrest and seat are less than 4" apart. Cover removes for easy cleaning.